I admit, I am a sucker for things that are well-made. I guess it is one of those traits that come with designers. You learn to recognise something that is well-considered, balanced, well-executed . . . and you buy the thing. It can be tea, music, whiskey, books, a great pen, a knife, new shoes, a nice watch, a car or a house. Anything that feels like someone made deliberate choices in the production process, is worth collecting, inspecting. 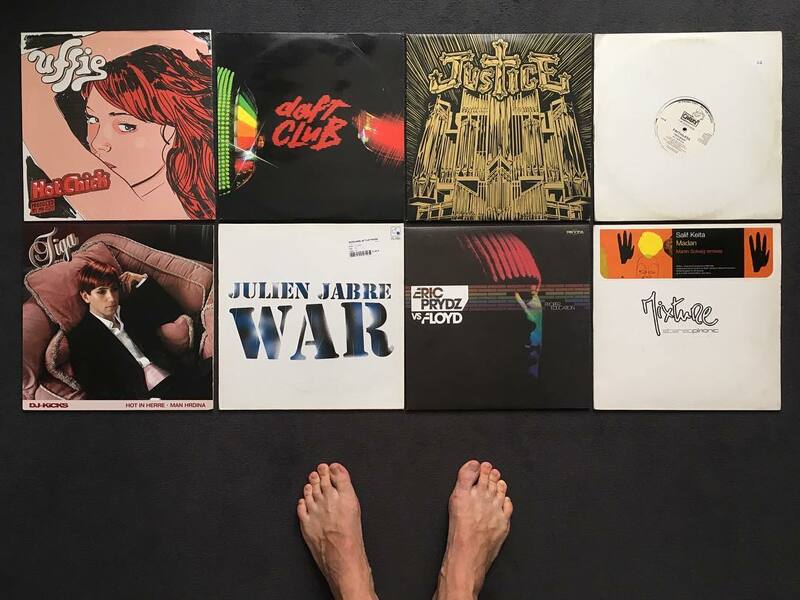 A collection of vinyl records and toes. I also have a constant urge to learn about new things. If I like a song, I will download the album. If I don’t like the album, I will keep it on file. The song is part of the album, the album is part of the song. One does not exist without the other in my world. The biggest weapon you have as a designer is your taste. I think it is only natural to develop that taste by exploring new things and forming an opinion of them – or so I tell myself. For this reason, I enjoy browsing through other people’s book lists. It is a way to discover new things: stories, opinions and facts. So I decided to collect books on my website. The collection only contains a couple of books for now and I will add books in the future. Maybe other things will follow.